In August 1940, a young man named George Roland Smith enlisted in the army. 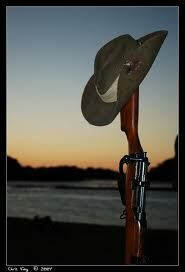 On the 10th April 1941 he was sent overseas, and served in Siam, Malaya, Singapore and Java, as a driver. 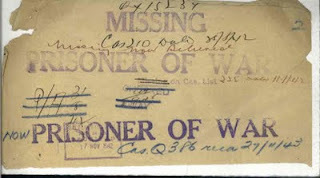 In March of 1942, Java fell to the Japanese forces, and George (Nibsy) was reported missing, believed to be a POW. Until his POW status was confirmed, his family back home in North Queensland had no way of knowing if he was alive or dead. The years between his capture and his eventual return to Australia are a bit of a mystery. 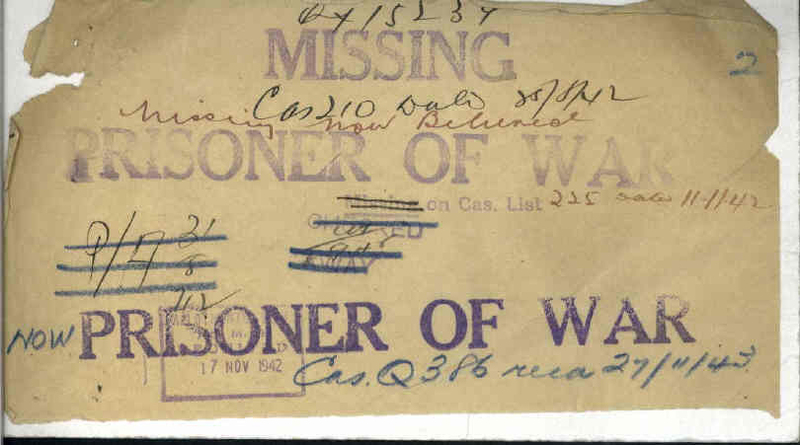 Nibsy never spoke much of his capture, or of life as a POW. We know he was in Changi, but he also said once that there were worse places than Changi, and we know he was moved around quite a bit. From reading other accounts of life as a Japanese POW, we know he was starved, dehydrated, humiliated and saw many of his mates die a horrible and painful death from disease and torture. He slept in the mud, ate rotten food (when he could get it) and worked like a slave for his captors. He was about as mis-treated as a man could ever be. I read a book called One Fourteenth of an Elephant, by Ian Denys Peek, that gives a pretty good description of what men like Nibsy went through. It's not for the faint-hearted. One of the things that struck me most in reading this book was that many of the POWs were concerned how they'd be viewed by their fellow soldiers. They worried that they'd 'helped' the enemy, by being forced to build roads, and railways. They worried that they'd been out of the fight, while other men were still at war. It broke my heart to read it. Today, I want to pay tribute to soldiers like George Roland Smith. They are the true heroes of this country. These are the stories we need to remember, long after the people who lived these lives are no longer with us. We need to remember the sacrifices that have been made on our behalf, before many of us were born, so that we could have the freedom we do now. Thank you for a wonderful post Toni. I'm off to buy the book you linked. I agree with Georgia and I'm going to search for the book too. I have a copy of White Coolies, written by Sister Betty Jeffrey, about the nurses who were also Japanese POW's. It was written by one of the nurses during her time in the camps and somehow her writings survived the searches often carried out by the guards. She mentions the men in Changi and how all prisoners men and women were moved around a lot. I've had it since I found it at a church sale (20 cents), I think in 1970, I've read it often, it's very inspiring, but I'll have to source a new copy, mine is falling apart. Great post. There is so much about all the wars that we should never forget.